On September 1, 2017, Vladimir Putin addressed a group of students in Yaroslavl, Russia. Speaking of the future, Putin said the development of artificial intelligence (AI) presents "colossal opportunities and threats that are difficult to predict now" and "the one who becomes the leader in this sphere will be the ruler of the world." That's quite a statement coming from the leader of one of the world's greatest powers. But regardless of whether or not you agree, this is a major story. In fact, it should be one of the biggest headline stories in years. Why do I say that? Because Vladimir Putin, undisputed leader of Russia, a man who controls 7,000 nuclear warheads, made a public admission overlooked by almost every media outlet in the world. I have to assume they missed it, otherwise Putin's statement would have been the top headline all over the world. Why? Because Vladimir Putin said mutual assured destruction won't last forever. Since 1949, mutual assured destruction (MAD) has been the linchpin of international peace. Fear of total destruction, the idea no one can win a war between two nuclear powers, is all that's kept us from World War III. But all that is about to change, and Vladimir Putin knows it. New technologies will one day render MAD obsolete. Artificial intelligence, molecular manufacturing, quantum computers, new missile defense systems, and other technologies will radically alter the balance of power. What if a nation can disable enemy missiles before they're launched? Or, even if they are launched, what if they can shoot down those missiles before they reach their target? New technologies will make both scenarios possible. Wars in Iraq and Afghanistan have given the world a glimpse of unmanned drone technology. What happens as those drones become smaller and more powerful? What happens when swarms of drones the size of bees or mosquitoes attack a conventional army? What if they attack nuclear warheads? What if swarms of tiny submarines hunt down and disable nuclear submarines? New technologies will make these scenarios possible as well. Even worse, numerous other threats could crop up, threats we have yet to imagine. As Putin says, artificial intelligence and its associated technologies will present "colossal opportunities and threats that are difficult to predict now." This inherent uncertainty will further erode the effectiveness of MAD. For instance, what happens if militaries throughout the world decide to place critical battlefield decisions in the hands of artificial intelligence? Could a non-human intelligence spark a global war? It might. And even if it doesn't, the idea it could will impact the decisions world leaders make. Aside from his admission MAD will lose its effectiveness in the near future, Putin made another equally important admission. 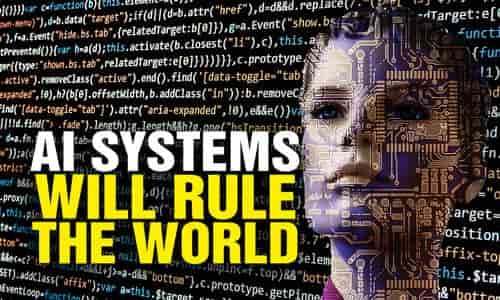 He said the nation leading this technological revolution "will rule the world." This wasn't an offhand remark. It was a public acknowledgement of what many people have known for a long time. The nation that first develops artificial intelligence and molecular manufacturing will have an enormous military advantage over the rest of the world. MAD will be obsolete, and the leading nation will have superior weapons. This nation will have two choices. It can sit on its advantage until other nations catch up. Or it can use its advantage to the conquer other nations. It will choose the second option. How can I be so sure? Because the first option will result in an unstable arms race that will probably lead to worldwide annihilation. Remember, MAD will no longer be effective. And post-MAD weapons will be even more powerful than nuclear weapons. So it's inevitable the leading nation will use its advantage to set up a global empire. Vladimir Putin knows this. That's why he said, "the one who becomes the leader in this sphere will be the ruler of the world." I'm sure Putin imagines he'll win the race and establish a world empire for himself. But regardless of who wins, the leading nation will draw the same conclusion - global government is the only available course of action. 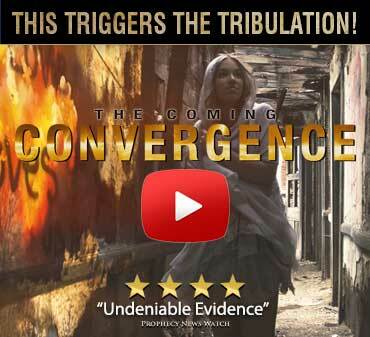 Those who study bible prophecy have long known what the Bible predicts for the end times. The Bible says a global empire will exist, one that rules every person on earth (Revelation 13:7). This empire will crush and devour the whole world (Daniel 7:23). And when it does, it will control almost every aspect of human life - to the point of determining "who can buy and who can sell" (Revelation 13:17). According to Vladimir Putin, the leader in artificial intelligence will set up this global empire. He knows it. And other world leaders know it. Have no doubt about it, this was a public admission of an ongoing race. It's a race among world governments. A race to develop new post-MAD technologies. And these technologies include more than artificial intelligence. They include molecular manufacturing, quantum computers, and other technologies most people are unaware of. In this race, there's no silver medal. The second place nations get nothing. The first place nation gets the whole world. That's quite a prize. So have no doubt, the race is on. The end result will be a global empire (Revelation 13:7) and a worldwide police state with unprecedented power (Revelation 13:17). It's just one more sign of the times. Jesus is coming!